There are times when you need to work quickly on a small project. The Speed Blaster is just what the doctor ordered. All you need to do is hook your air supply to the 1/4â�� NPT inlet (available at most hardware stores) on the bottom of the handle and fill the 26 ounce. jar with dry abrasive. 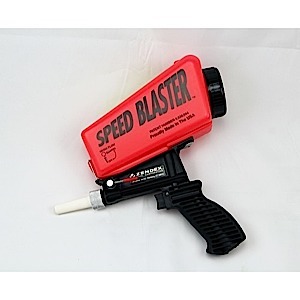 Speed Blaster runs continuously and virtually clog free with the correct media and moisture-free air. Please do not exceed 14 grit. 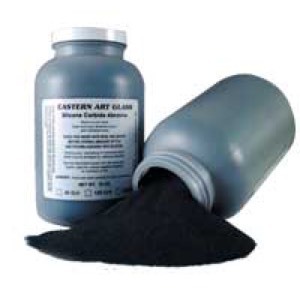 The lightweight, long-lasting, comfortable design employs gravity to help force the blast media into a hardened steel mixing chamber. 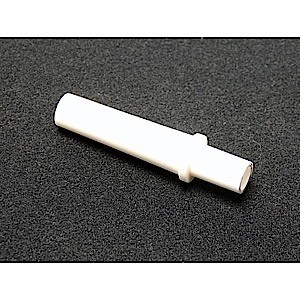 Compressed air then forces the particles through a top grade alumina ceramic nozzle at extraordinary velocity. Speed Blaster is self-contained and small for easy storage in a toolbox drawer. The next time you need to blast something, just connect compressed air and go.